As Europe’s largest employer, with over 1.3 million staff, the NHS committed in its overall strategy, the Five Year Forward View, to improve the health of its workforce. A recent survey found obesity to be the most significant self-reported health problem amongst NHS staff, with nearly 700,000 NHS staff estimated to be overweight or obese. Rising rates of obesity amongst NHS staff are not only bad for their personal health, but also affect sickness absence and the NHS’s ability to give patients credible and effective advice about their health. Today’s formal consultation proposes levying a fee for any vendor of sugar-sweetened beverages (SSB) on NHS premises. It is complementary to the government’s proposed sugar tax, but would begin sooner – in 2017 – and based on best evidence would cover the full range of sugar sweetened drinks. Subject to consultation the drinks affected would be any drink with added sugar including fruit juices, sweetened milk-based drinks and sweetened coffees. Proceeds from the fee would be used directly to fund expanded local staff health and wellbeing programmes and/or the trust’s patient charities. It also seeks views on an outright ban on certain products being sold on NHS premises, an approach now beginning to be taken by hospitals in several other countries. The consultation will ask for the views of patients, carers, NHS staff, the public and suppliers and will close on January 18 when feedback will be considered and a decision taken about how this should be taken forward into the NHS standard contract. A recent two month NHS pilot of different types of sugar policies at four hospitals has already taken place and showed positive results. 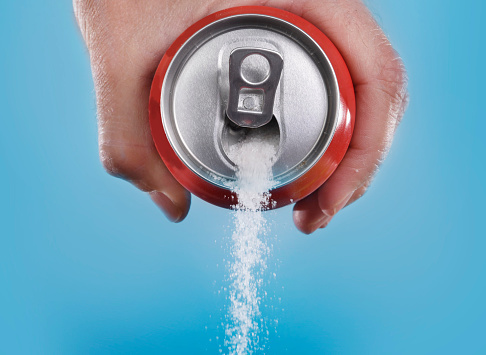 For example, one site reported that although no sugary drinks were sold during the trial, the overall total number of drinks sold did not decrease and they were financially unaffected. “Today’s announcement is further recognition of the role sugar plays in the obesity epidemic – and any steps to unsweeten the nation’s diet must be applauded. Hospitals are places people go to be made healthy, so it is absolutely right that they lead by example.